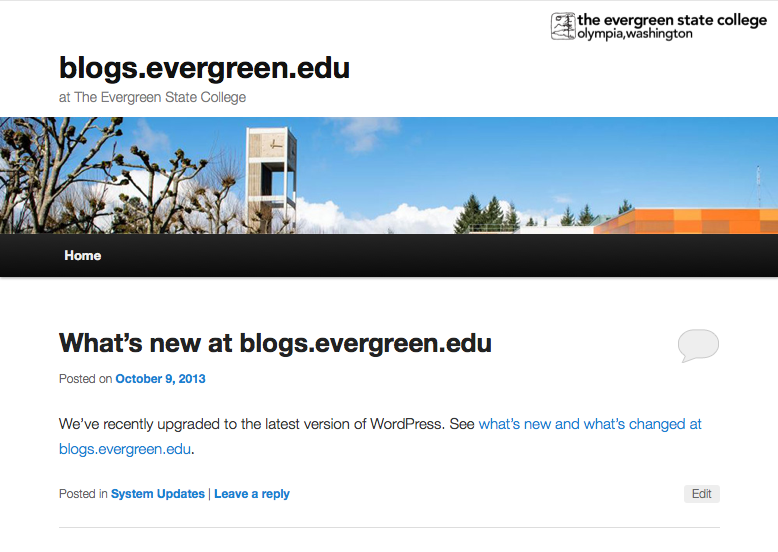 Evergreen’s WordPress server blogs.evergreen.edu has been updated to the current version 3.6.1 of WordPress. 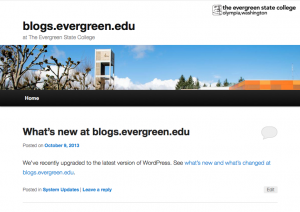 Check out the WordPress Changelog to view some of the changes and new features. In addition to the new version, we’ve migrated our deployment from SVN to Git to be consistent with the rest of the academic applications managed by Academic Computing. This entry was posted in System Updates on October 9, 2013 by Amy G..